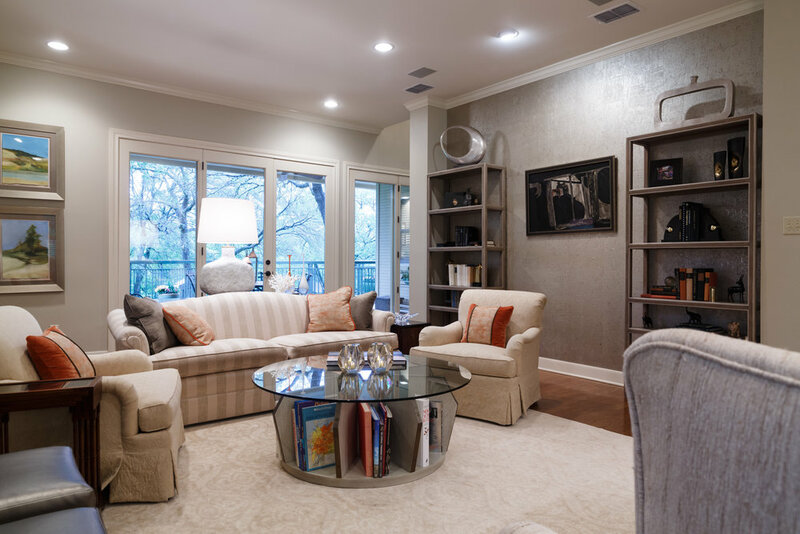 Austin homeowner, Kelly, found us when she was ready to hire an interior designer to refresh her beautiful home. 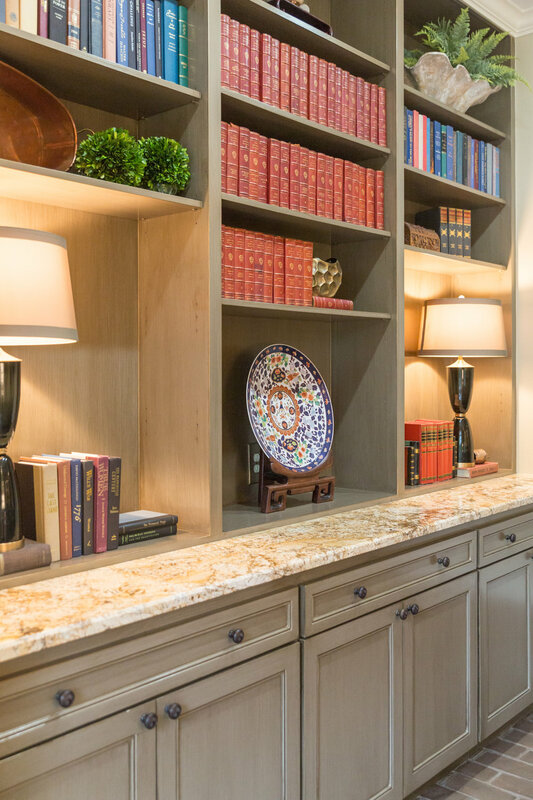 She needed to incorporate her existing treasures; a fine collection of artwork she has collected from her extensive travels, an expertly curated library of books, and a gorgeous southwest style rug. 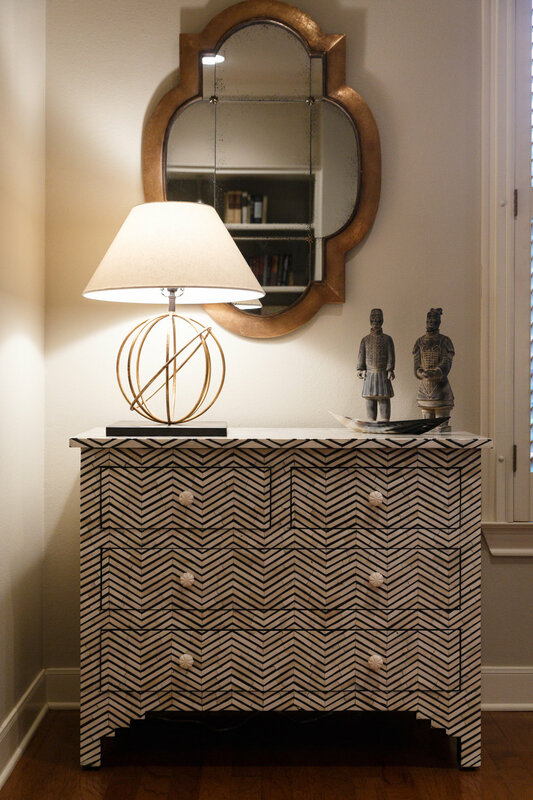 We were thrilled to use these items as inspiration for the design and to create a space that is uniquely her. 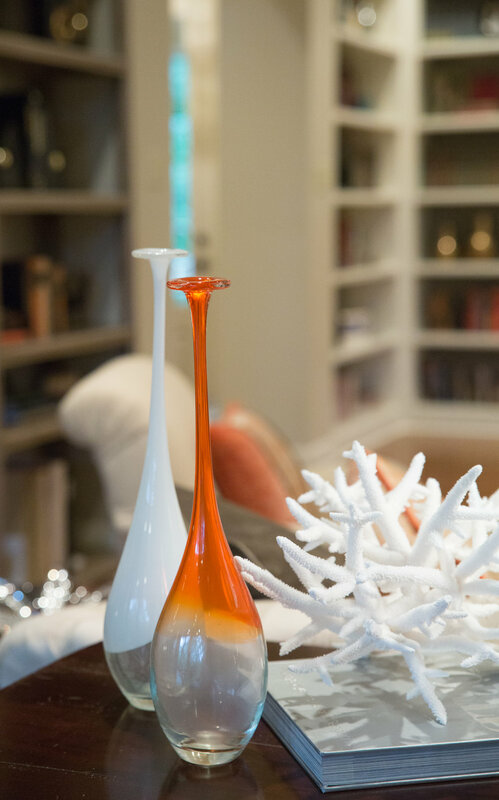 She was open to new interior design ideas and allowed us to run with our vision. 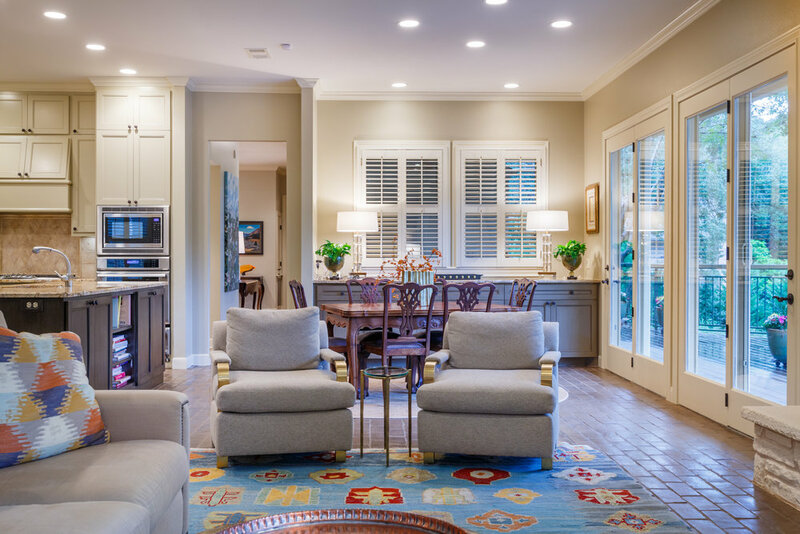 The rug was placed in the living room and was the inspiration for the color palette. 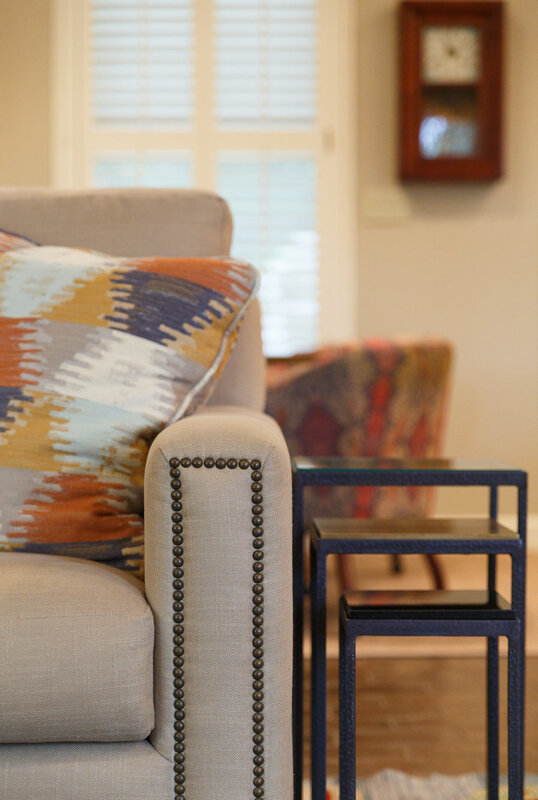 We pulled in its beautiful blue’s, red’s, orange’s, and gold’s using carefully selected custom fabrics for the pillows and chairs. For the rest of the living room, we selected paint colors, a new sectional, a round ottoman, lamps, built-ins, and side chairs. For her kitchen, we painted the cabinets, and for her breakfast nook we re-upholstered the existing chairs with gorgeous red fabric that breathes life into the space. 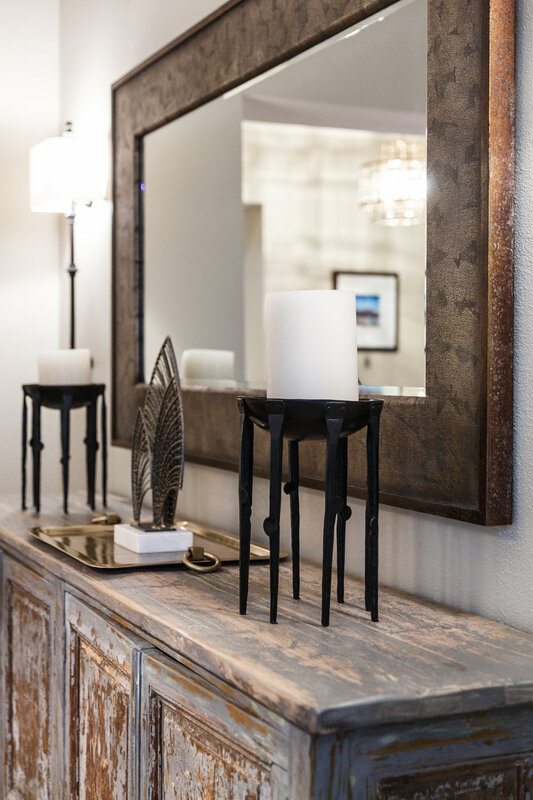 For the entryway, we added a console table and new lighting that really illuminates the entry, making a wonderful first impression of this gorgeous Austin home. 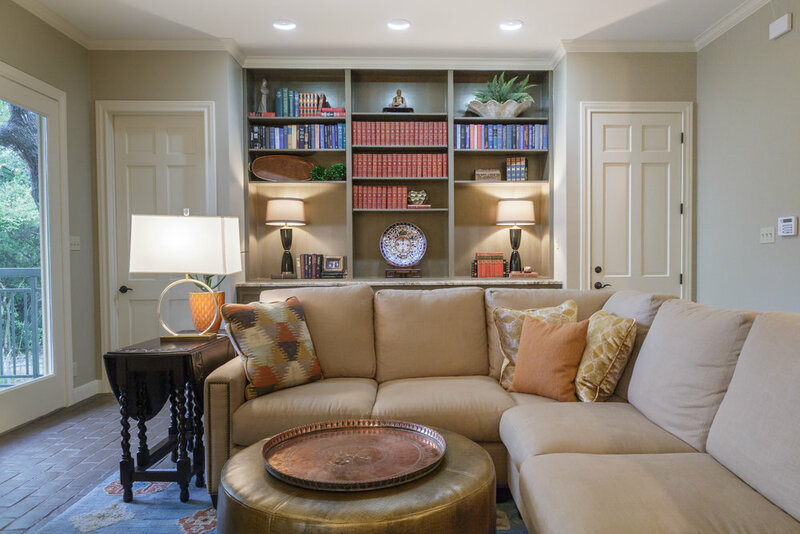 In the family room, we specifically chose a round coffee table with open book storage so Katy could store and display some of her impressive book collection. A wallpaper accent wall was added to bring some depth and whimsy. Mosquito benches were added to the fireplace area and we accessorized and arranged all of her book shelves. Katy already had a wonderful, rustic buffet table in her formal dining room. We dressed it up with hand selected decorative pieces. 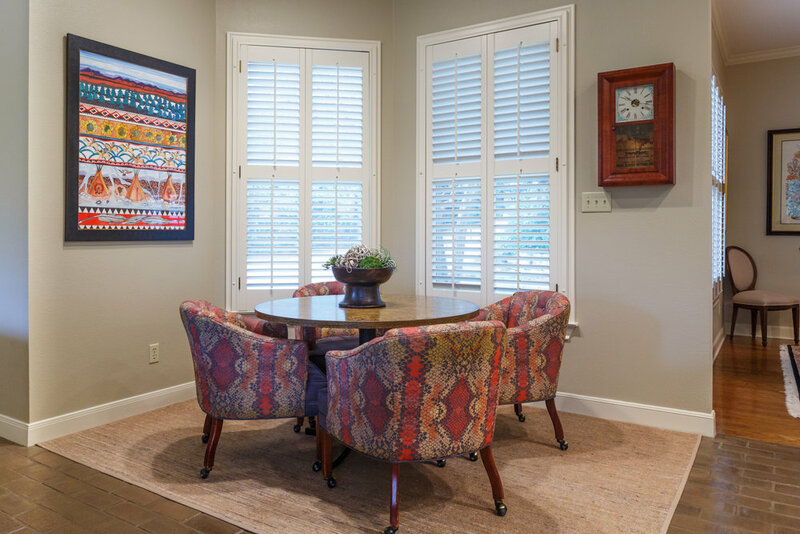 We continued with cohesive frame selections for her existing wall art collection throughout the lower level of the home. 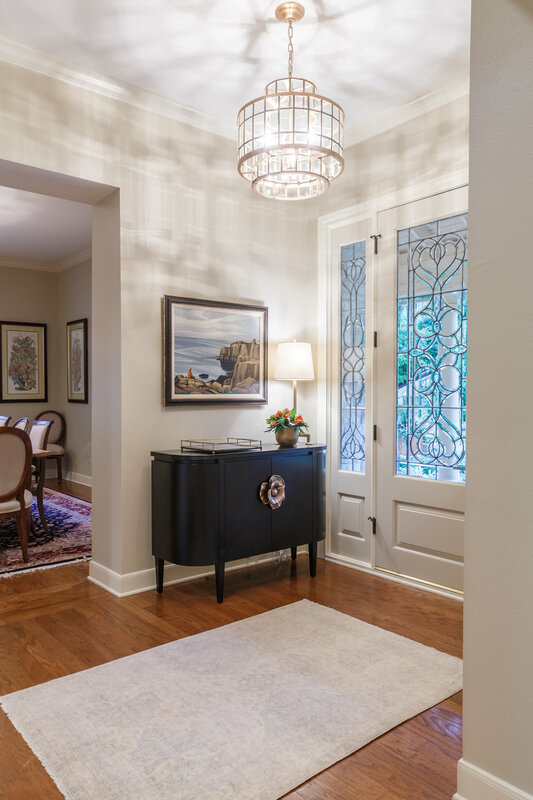 We really enjoy bringing the homeowners personality and style into their space by building on their existing collections and unique treasures. 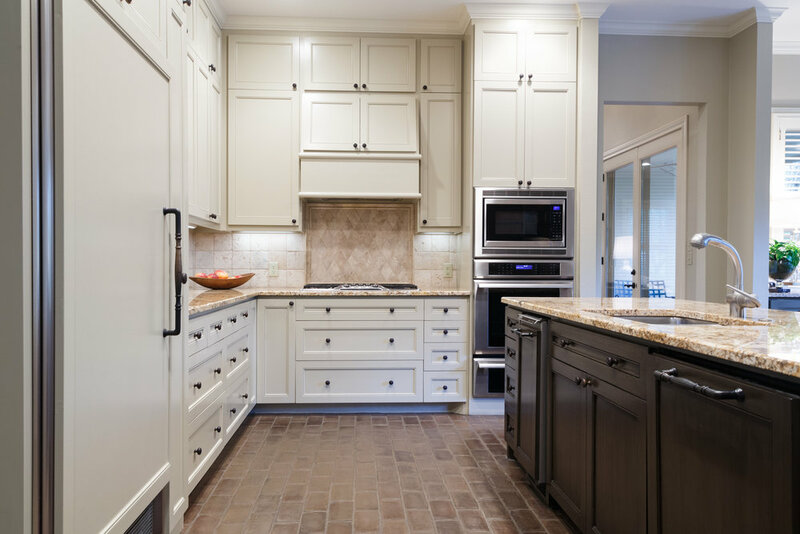 Bringing the homeowners essence through in the design creates a sense of deep satisfaction for both the interior designer and the homeowner. It is truly an inspired collaboration to create a space that feels like home.